IOTAshops.com is your source when you are looking for an IOTA shop. Wheter you are a merchant or a customer – this page is serving everybodies wishes. You want an IOTA shirt, an IOTA hoodie, an IOTA mug an IOTA keychain or other merch? You will find the right IOTA shop for IOTA merchandise right here. And if you are looking for a shop where you can pay with IOTA, you will find it here, too. If you haven’t any (M)IOTA to spend you will find a list with all the exchanges that trade IOTA. Use an exchange to buy or sell with different payment methods like creditcard, SEPA, bank transfer or even cash vouchers. Fiat gateways allow you to get your hands on this token with your local currency without having to buy other cryptocurrencies like Bitcoin or Ethereum before. There are also pages where you can earn some IOTA to play around with. Also you find solutions for shop owners / businesses that want to offer IOTA payment. Different systems are available from which you can chose the one that fits the best to your business. Follow the IOTA Blog and make sure you are up to date! Find out about exciting projects like the Parcosm cross reality (XR) platform which will offer for e.g. games like Post Scriptum and other virtual reality (VR) projects that can be built on this pal. If you are looking for a full node but your programming skills aren’t that good there is no need to worry. There are already ready-to-go full node solutions available. 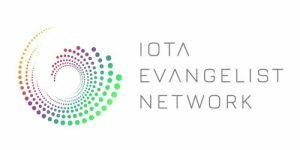 There is also a lot of other IOTA hardware to discover so you can participate in the network. For example you can buy Hardware to securely store your coins – like on the Ledger Nano S or the Ledger Nano X that is supportet by the Trinity Wallet. Start using your IOTA now and help the network getting stronger. Everytime you pay something with IOTA the Tangle gets stronger – thanks to your transaction. But you don’t have to buy something – there are tons of other fun things to do which help the network to grow. There are games and video chats based on the Tangle and sites where you can draw something using IOTA to pay for the pixels. Or you simply donate to your favourite project. If you want to have your logo/graphic on IOTAshops.com please send me one with an agreement that allows me to use it.